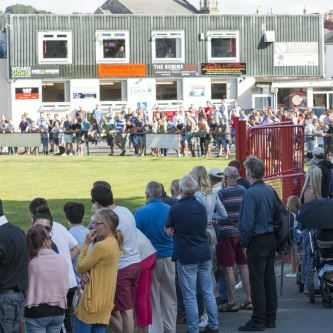 Welcome to the Bideford AFC Clubhouse website. 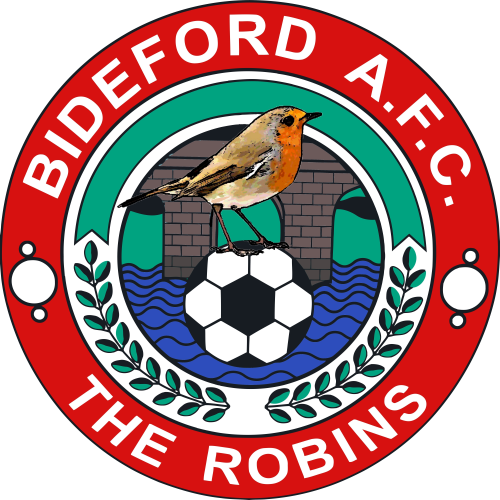 Formed in 1987, Bideford Association Football Club is a focus for sporting and social activities in the local area. 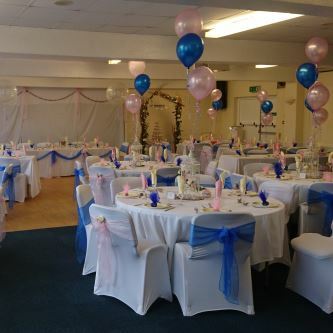 An ideal venue for your party, wedding, conference or meeting, the Clubhouse at Bideford AFC boasts a fabulous function room suitable for all occasions. The Clubhouse provides two floors, with a very large Function Room on the ground floor, and a smaller Director's Room and much larger Main Bar situated upstairs. An annual membership is available for £5 per month. 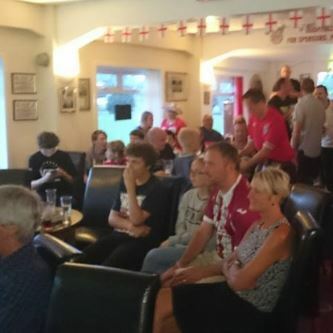 The Robins Nest Membership entitles you to discounted drinks in the main bar at all times, and in the function room when used on match days or for any Bideford AFC/Robins Nest run events such as Quiz Nights and Presentation Evenings. Everybody loves a bit of Elvis! 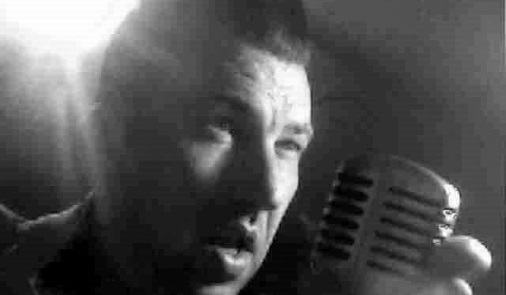 Brockabilly has played in Rock'n'Roll and Rockabilly Bands Since 1988. Now he's back with what he loves most, singing ELVIS. 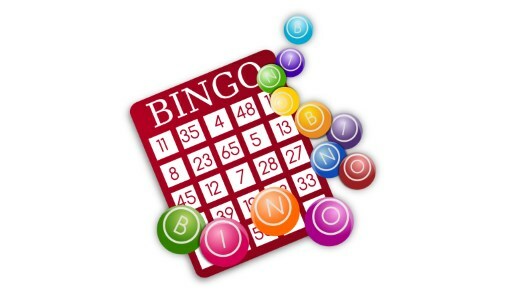 Every Monday - Eyes down 7pm - £1 membership per week - Cash prizes (including rolling jackpot*). *must be a member for 1 week prior to being eligible to win the jackpot. 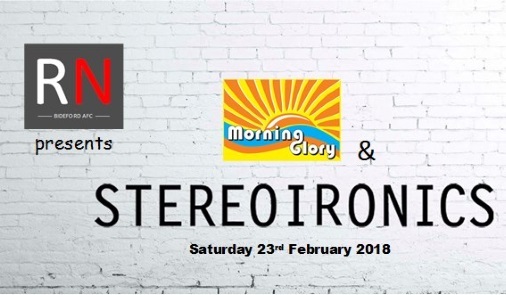 Stereoironics are the UK’s number 1 Stereophonics tribute Band and have been recommended to many by The Stereophonics themselves. And if that isn't enough for you we have the brilliant local band Morning Glory kicking off the night. 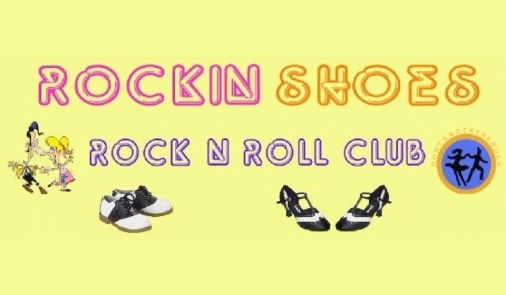 Tickets - £10 advance purchase (£9 members) - £13 on the door. Please use any of the below methods to contact us. Any and all queries welcome. © The Robins Nest. All rights reserved.